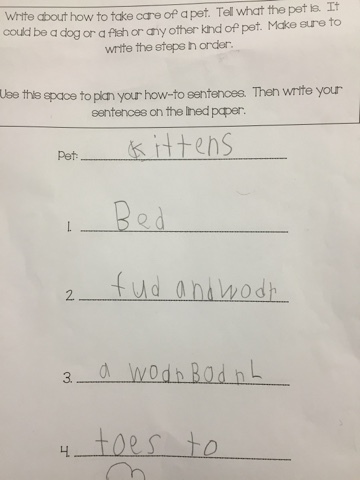 Our district utilizes Reading Wonders for our basal program and I find I need to supplement a great deal with the writing process component. 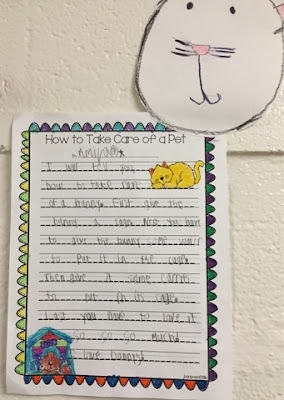 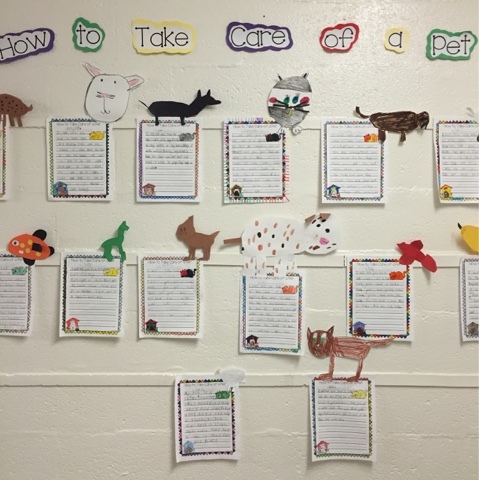 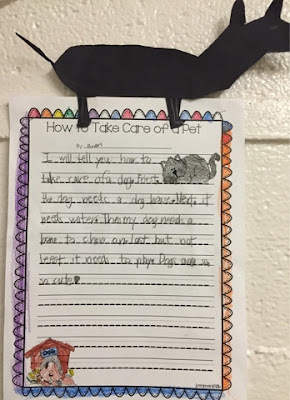 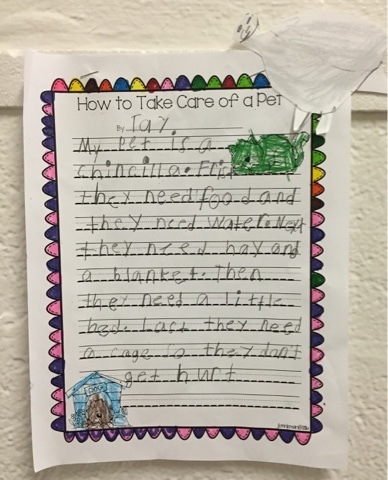 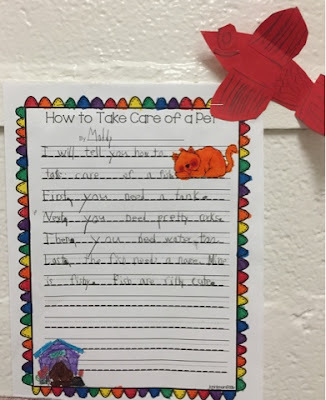 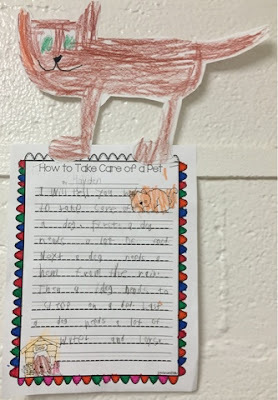 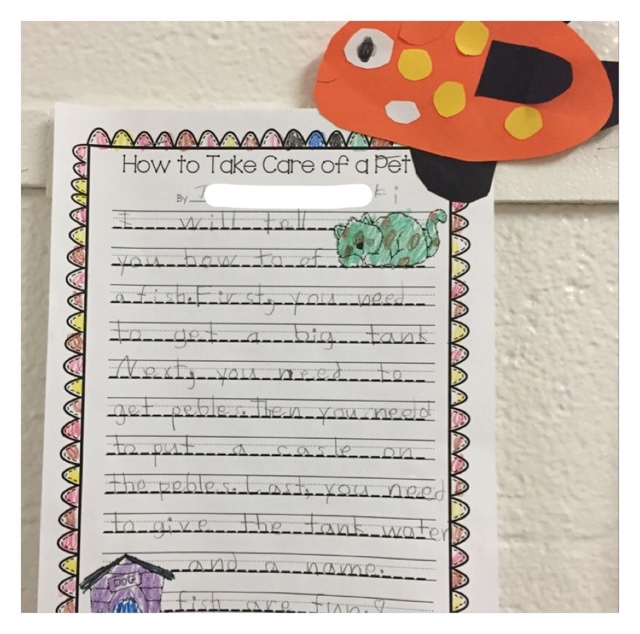 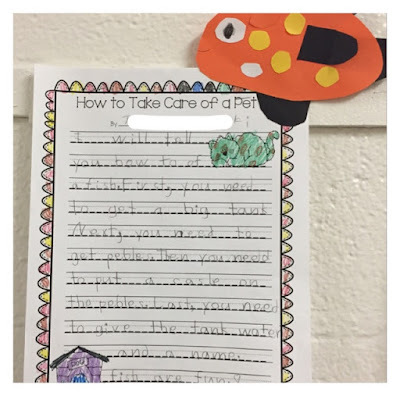 This week, students read and learned about how people work with animals so we worked on narrative writing skills and wrote about how to take care of a pet. Many students don't have pets in their homes so the first thing we did was a little research using books in our classroom library and iPad apps. 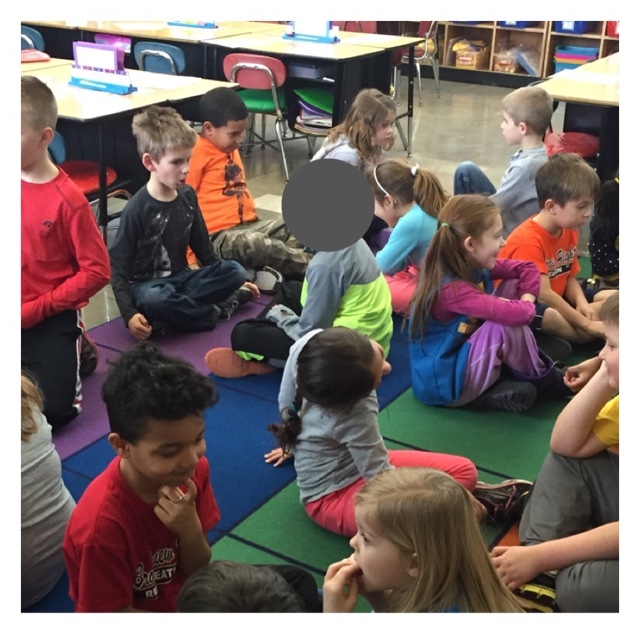 Talking with friends and discussing ideas is a huge part of the writing process in first grade, and a lot of fun too! 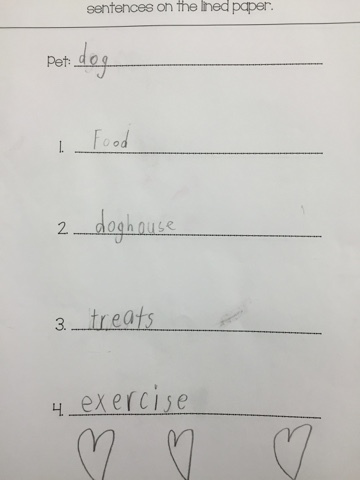 We looked through the writing organization rubric to clarify expectations. 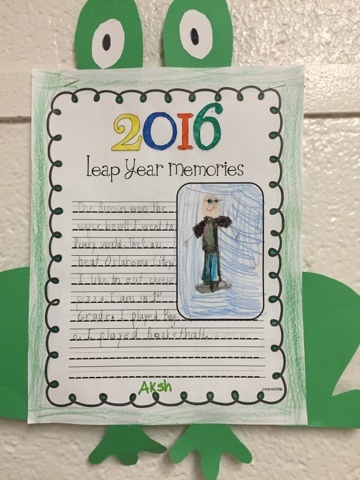 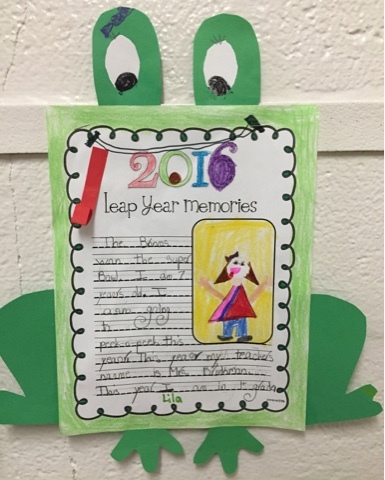 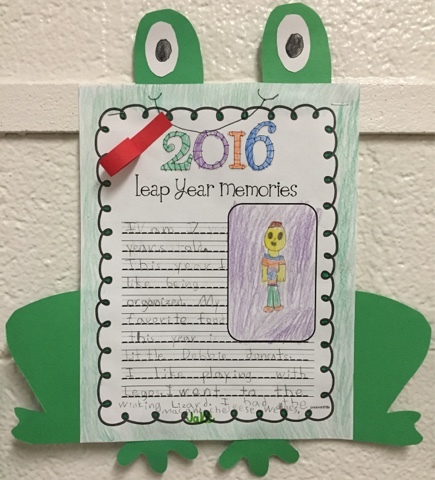 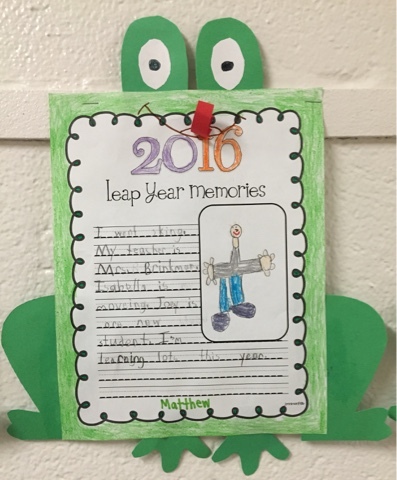 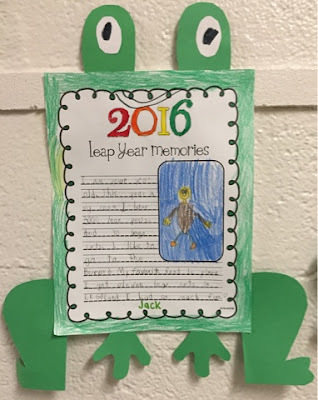 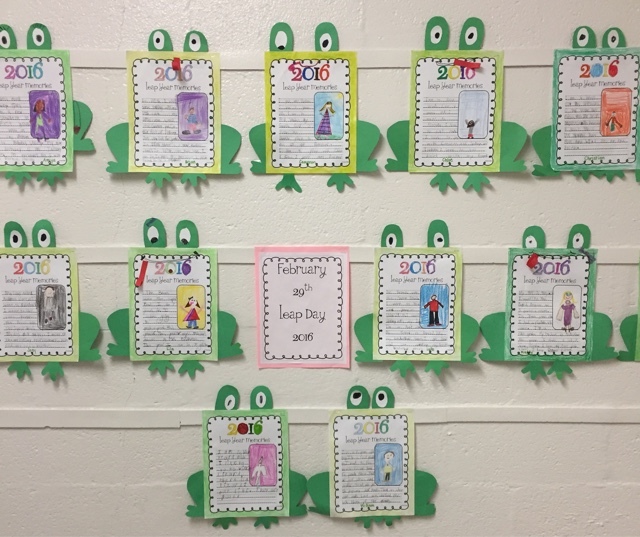 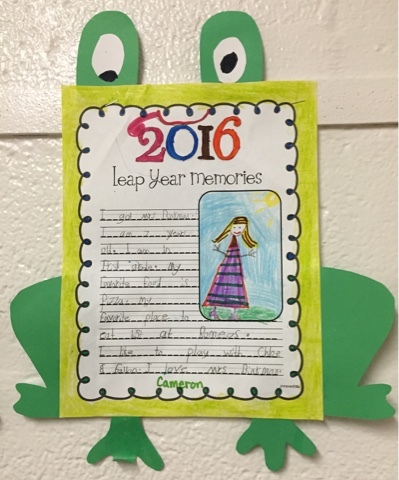 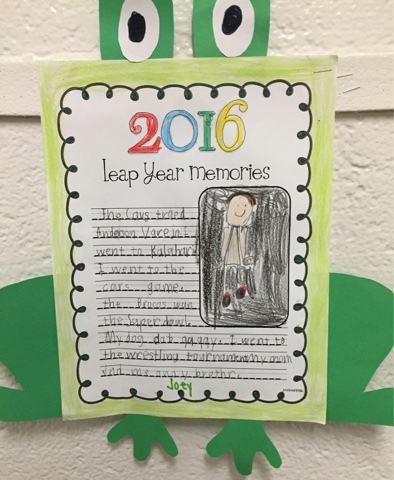 For this activity, we created the opening sentence together. 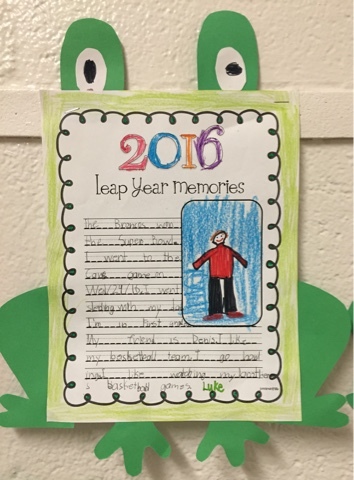 This fella was disgruntled with the Cavaliers for trading Anderson Verajao. 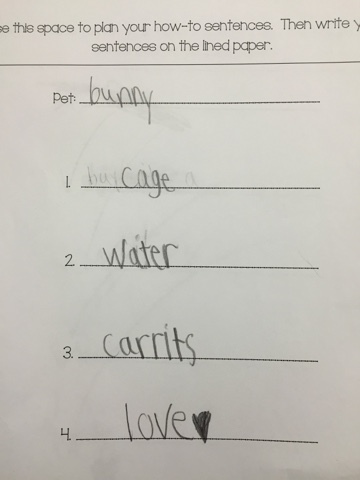 I hope you enjoy a wonderful week filled with lots of learning!